The dad of a Hillsborough victim who died four years after the disaster said he knew after four weeks that there was nothing left of his son. 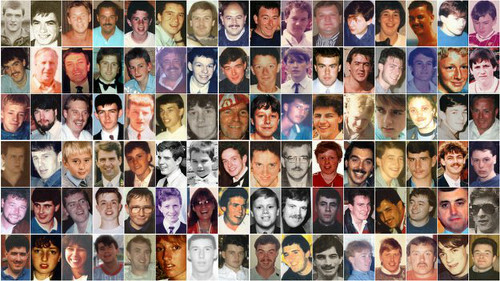 The inquests into the 96 deaths heard Tony Bland, who was 18 when he went to the semi-final on April 15, 1989, was in a persistent vegetative state after the disaster. He died on March 3, 1993, after a court battle to have his life support withdrawn. In a statement which was read to the court, his dad Allan described seeing the news of Hillsborough unfolding on the television. He said he later received a phone call from the wife of Tony’s friend Ian Grew, who said Tony had not returned to the car where they had arranged to meet. Mr Bland said he travelled to Sheffield from their home in Keighley, Yorkshire, and went to a mobile police station. He said: “At this building, there was a police officer who had a list of names of people who had been taken to hospital, but he would not let me check to see if Tony’s name was on the list. “Instead I was taken into a cabin where I had to look at photos of 33 dead people. “I still remember that feeling when I thought I saw Tony’s photo on the board, but it was not him. “When I came out of that room I thought ‘at least he’s alive’. “Shortly after a social worker spoke to the police officer in possession of the list with names on it. “It turns out that Tony’s name had been on the list the whole time. Mr Bland was then taken to the Northern General Hospital and later to the Royal Hallamshire Hospital, where his son had been transferred to. Mr Bland said: “However, we knew after about four weeks had passed that there was nothing left of our son. He added: “I just wanted Tony back and would look for any signs that might mean he was improving. Mr Bland said: “We had no life. “There was no coming home, sitting down and just catching our breath. We were completely institutionalised. “Before Hillsborough, we never discussed what any of us would want if this eventuality ever arose. “We do not know if Tony ever indicated his wishes to anyone in this respect but doubt that the thought ever entered his mind that he might be in such a situation. Dr Howe, who gave evidence via video link from Australia, told the court Tony’s family had done everything they could for him. But he said no one ever saw Tony make any response and he did not make eye contact. Dr Howe said he had contacted the then Sheffield coroner Dr Stefan Popper and told them when they intended to withdraw Tony’s care. The case went to the family court, Court of Appeal and the House of Lords before permission was given to withdraw life support, nutrition and hydration from Tony. Mr Bland said: “When we viewed his body before the funeral it was the first time that Tony came back to us as he was before Hillsborough. “It was the first time in four years that we saw Tony with no tube up his nose. 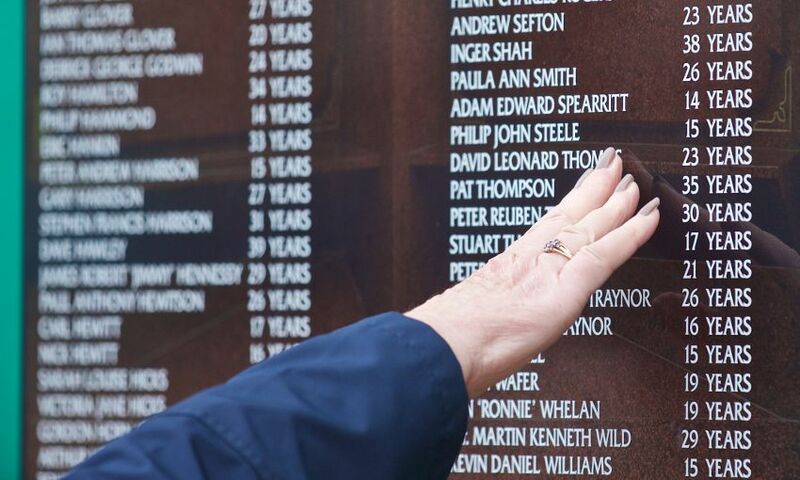 A medical expert told the Hillsborough inquests the care given to one of the victims should have been different. The court had heard that Tony Bland, the 96th victim of the disaster, was not intubated - a procedure where a tube is placed down a patient’s windpipe - when he first arrived at the emergency department at the Northern General Hospital. The jury was told Tony, who was unconscious but breathing when he arrived at hospital, was later moved to ward 60 - used as a holding area for casualties from Hillsborough - and was assessed again but was only intubated and ventilated when his condition later deteriorated. The court heard Tony’s condition deteriorated again when he was in the cardiac intensive care unit at the hospital but stabilised after he was treated for collapsed lungs. Prof Menon told the court he was unable to say whether the two incidents of deterioration in the hospital contributed to Tony’s brain injury and his ultimate condition. A police officer told the Hillsborough inquests he and a colleague were “distraught” after they failed to revive a fan on the pitch. The court heard evidence about Raymond Chapman, a 50-year-old dad-of-two from Prenton. He travelled to the match with friends including Steven Fox, 21, who also died in the disaster. James Wright, a police sergeant in 1989, told the court he and police inspector Trevor Harvey had helped to carry a man they later identified as Raymond onto the pitch from the gate in pen three. In a statement he said: “We tried resuscitation for about two or three minutes, but it was apparent that the man was dead. “As I stood up, I looked at Insp Harvey. He said a young man then approached the casualty and began mouth-to-mouth. He said: “I knew the man was dead, but knelt and again tried heart massage. “After a minute or two, I told the youth that the man was dead. “He started to cry and walked away. The court heard Raymond was carried down to the Spion Kop end of the pitch. Evidence about Raymond is due to continue tomorrow (Tuesday).